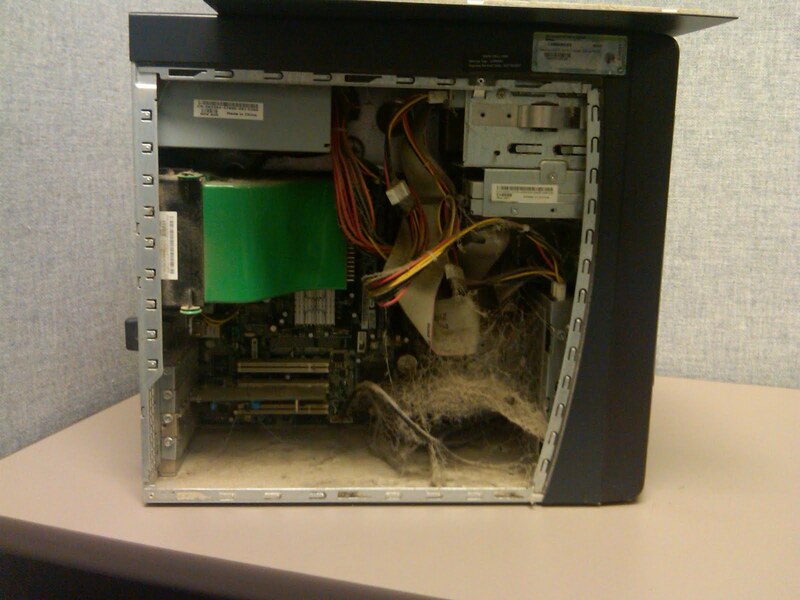 As a SysAdmin you come across some crazy things. 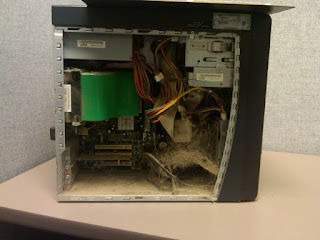 This is one of the dirtiest PCs that I have come across in a while. The user complained that it was slow. I believe that a little vaccumn will go a long way. Looking at this mess, I bet if I told you that this PCs was filled with viruses and trojans it wouldn't surprise many if any other SysAdmins. Simple things like, a clean space for the PC and putting a good quality anti-virus and Malware detector will go a long way. If you have any question, many SysAdmins can direct you to free/low cost versions. Note, if you click on a pop-up from the internet to download anti-virus, spyware, malware software, you have just got infected. Don't choose you protection software by selecting pop-ups when you surf the internet.